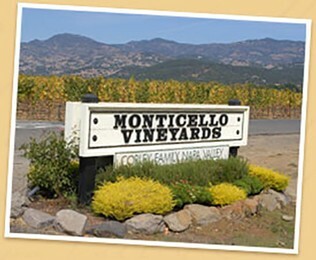 "Today we planted hops at the winery. The cellar crew and I are going to grow 10 hop plants this year in old wine barrels along the side of the winery building. 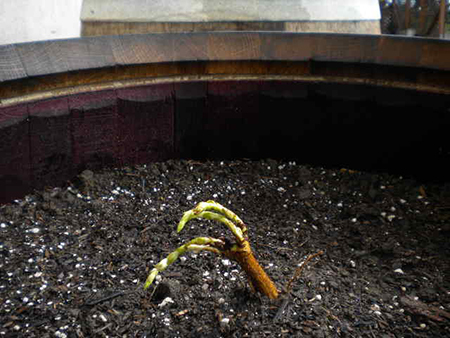 Last November, we ordered 10 organic hop rhizomes from a grower up in Oregon. They arrived at the winery a couple of weeks ago. We're growing 5 different varieties - Fuggle, Northern Brewer, Willamette, Perle and Cascade. 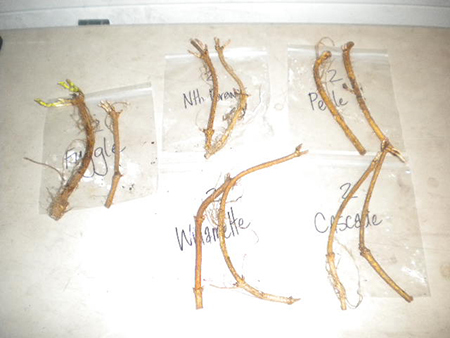 Below is a picture of the rhizomes as they arrived from the supplier. They're basically cuttings from established plants. We pounded out the heads of 10 old barrels and lined them up along the west end of the winery building. 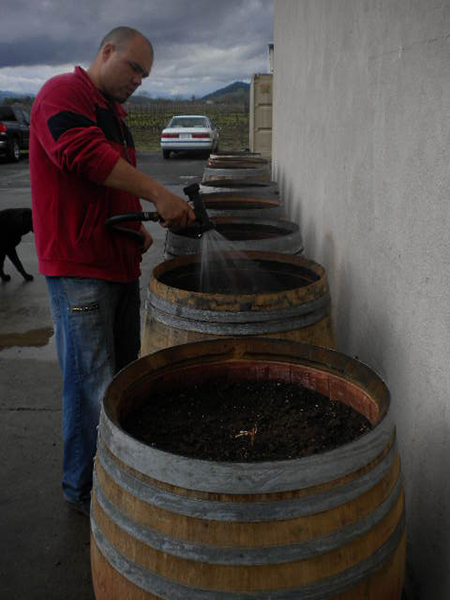 The barrels were filled with some of our rockin' Oak Knoll District dirt from the back of the vineyard mixed in with a little potting soil to help them get started. They'll get plenty of sun on the west end of the building, and once they're established should provide some shade and pleasant aromas at that end of the building. Best of all, when they start producing hops, we'll be able to use these for home-brewing! Isac, our cellarmaster (hopmeister?) tends to the newly planted hops in the picture below. It will probably take a couple of years for the hops to get established, but we've been growing grapes for a long time, so we've learned to be patient when starting out new plants. Mature hops can grow very tall, perhaps 15-20 feet in a season, so they need tall wires to be trained up. Growing them next to the building meant that we didn't have to erect hop poles, which likely would have been a lot of work for this first go-around. We'll just drop training wires from the roof, which is about 25 feet tall. If all goes well with this batch, maybe we'll consider putting up some hop pole or tee-pees in the back of the property ... we'll see. There are a lot of parallels between wine and beer, and I imagine everyone is the familiar with the old catch phrase 'It takes a lot of good beer to make great wine!'. We're firm believers. We've been having fun learning about the brewing process, and learning how to grow hops just further enhances our enjoyment of drinking good beers. Hopefully, the fresh hops we grow will enhance our ability to make good beers, and those good beers will lead to great wines!"